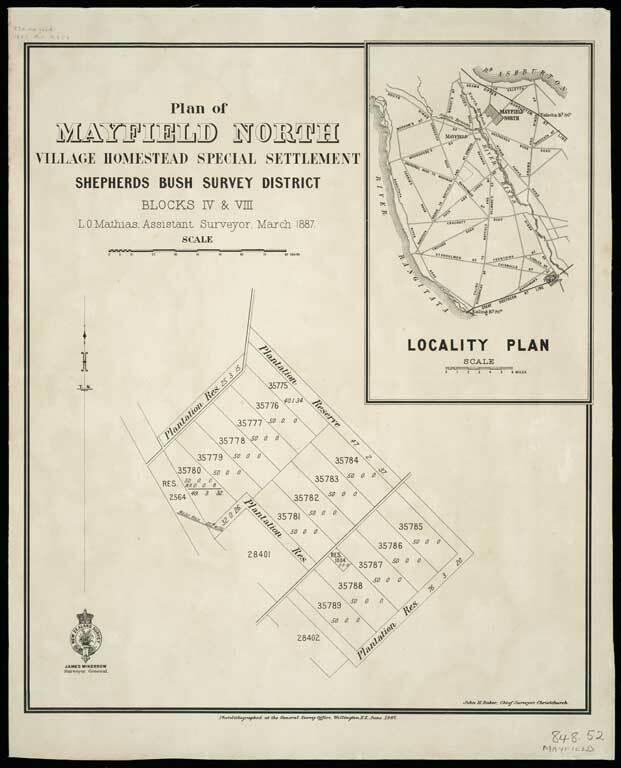 Title: Plan of Mayfield North village homestead special settlement, Shepherd's Bush survey district, Blocks IV & VIII / L.O. Mathias, assistant surveyor, March 1887. Physical Description: 1 map ; 38 x 32 cm.